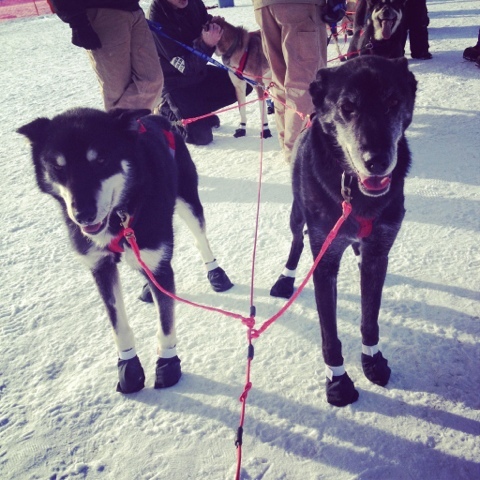 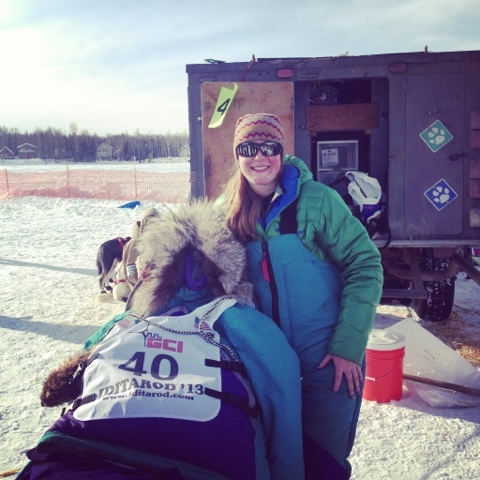 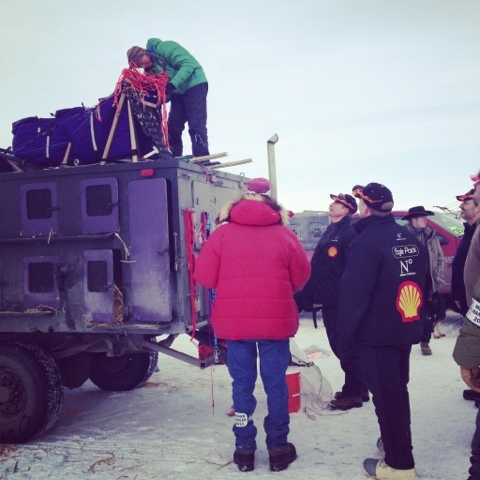 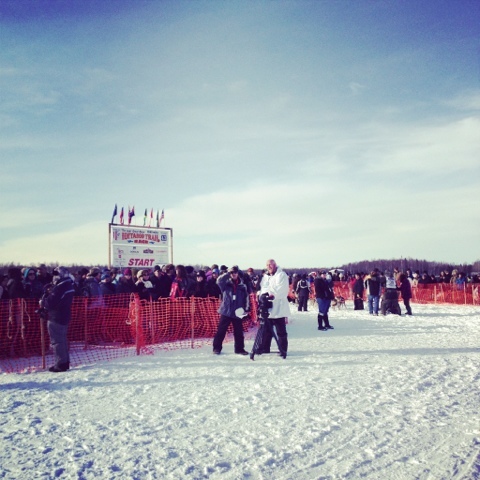 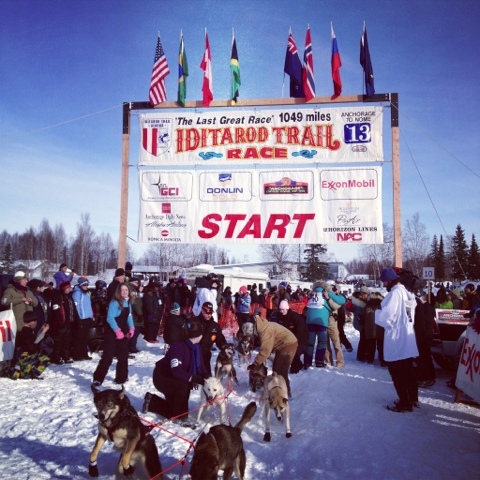 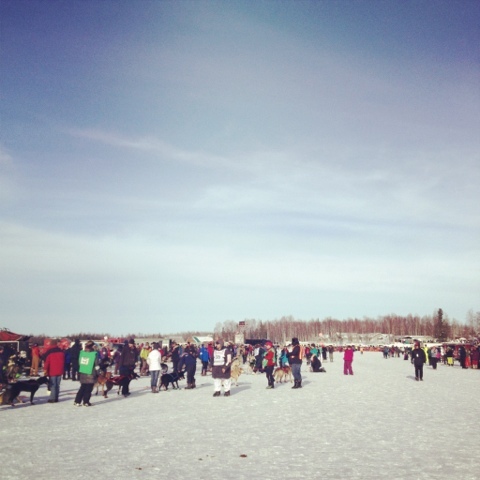 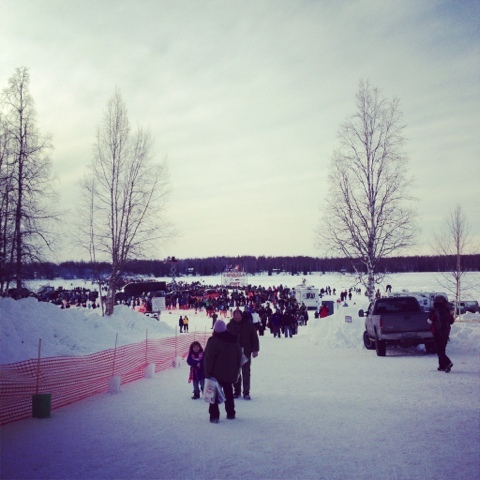 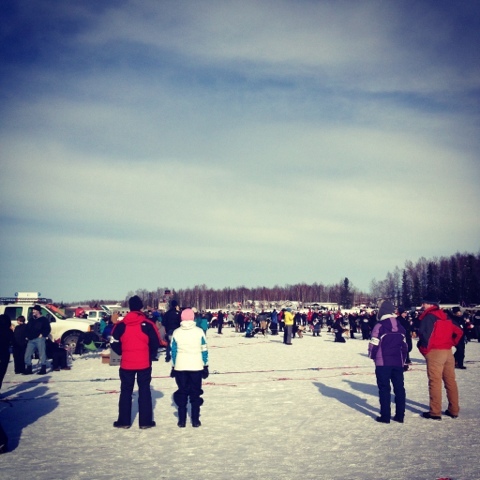 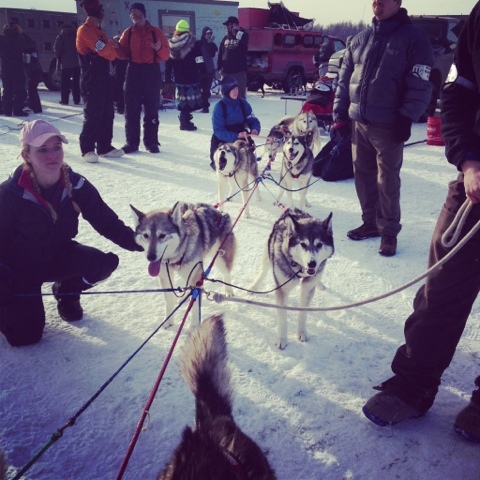 Big strong men flocking to beautiful Iditarod musher Angie T.
Angie Taggart, Bib #40 ! 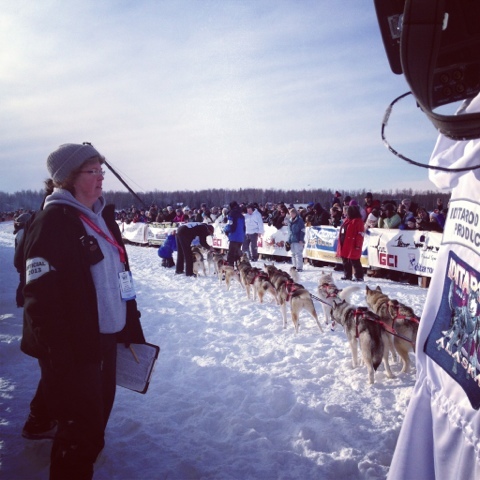 Angie giving out one last hug. 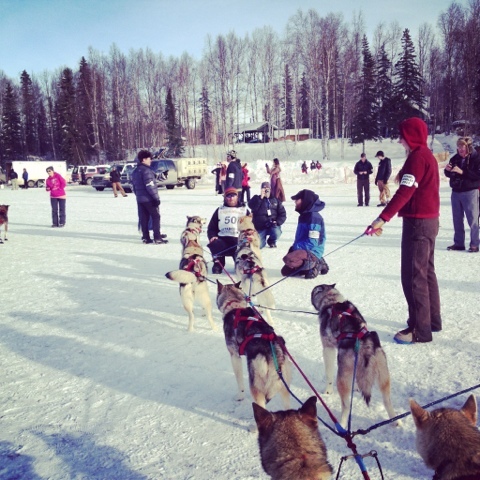 Mike Ellis of Team Tsuga Siberians. 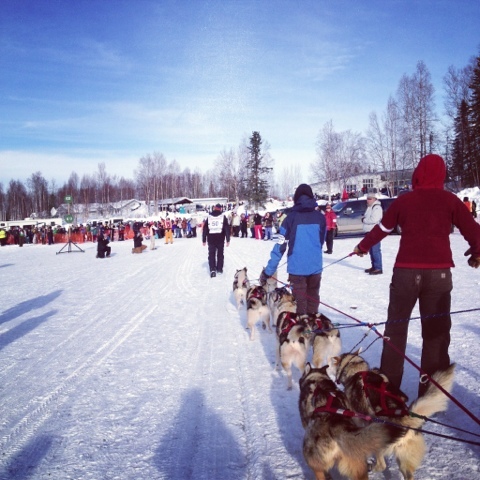 Mike walking his dogs to the chute. 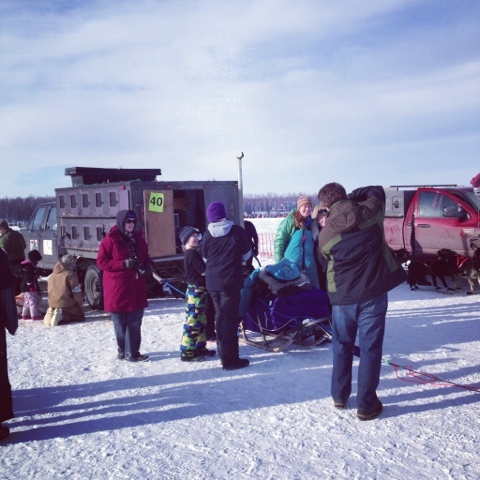 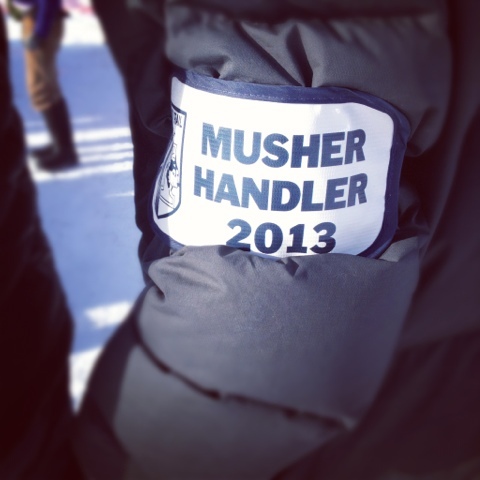 Last minute pets in the chute.